Follow the steps below to share your invitation on Facebook. First, from the Add Guests (or Manage Invitation) page, select the Share option. 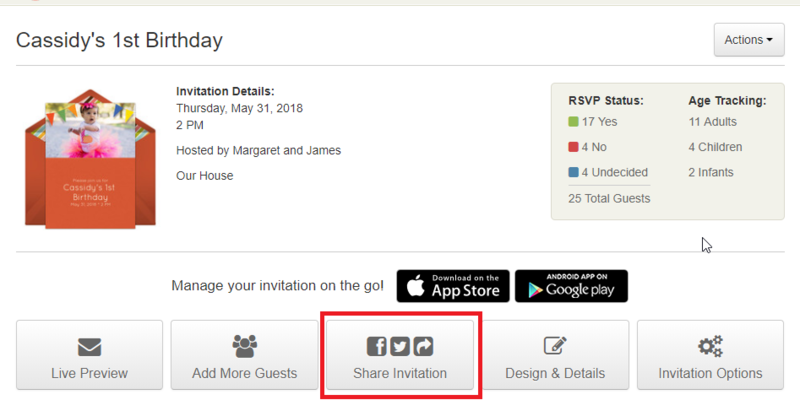 If you haven't sent your invitation out yet, the Share option will be located along the right side of the Add Guests page. 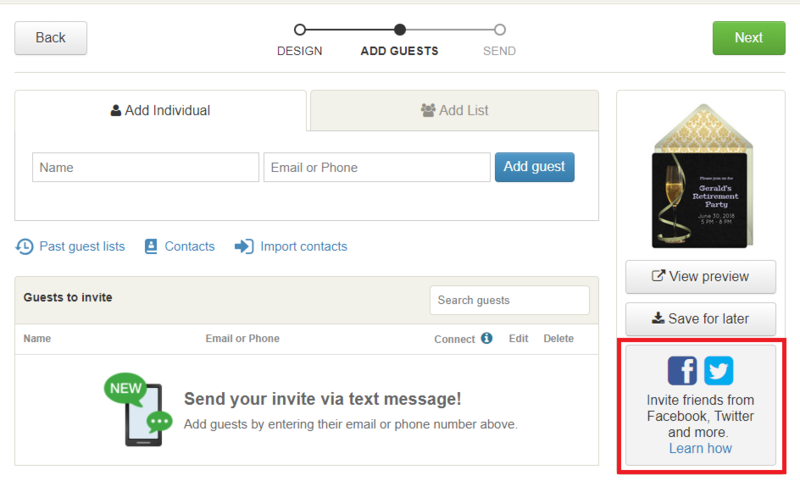 If you've already sent your invite to guests, the Share page will be located at the top of your guest list. 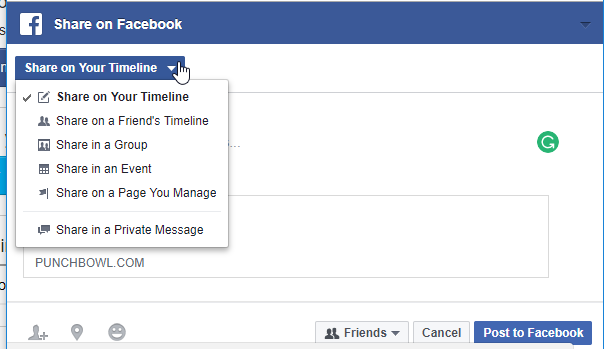 Next, select the Invite Facebook Friends button, and you'll be able to share in a few different ways. To share your invitation publicly, use the Share on Your Timeline option to create a wall post. All your Facebook friends will be able to view the invite and RSVP. You can also post the invite to a friend's timeline as well. You can share your invitation privately to just certain friends by using the Share in a Private Message or Share in a Group option. To invite Facebook friends from the mobile app, first, tap on the My Invites tab and click on the invitation you would like to share. After that, you will be presented with different options and applications you can share your invitation to, including Facebook. Ready to plan your event? Choose an invitation from our gorgeous collection of designs to get started!